Via Dolorosa or Street of Sorrows is the holy path along which Jesus walked to his crucifixion. Way of Sorrows or Way of the Cross is the spiritual pilgrimage in memory of the last moments of Jesus Christ - a religious tradition for the Roman Catholics. It assumes greater significance for the faithful as they contemplate and meditate - if they follow the stations where the events took place - in Jerusalem. Do not miss the Church of the Holy Sepulchre - a revered spot for any Christian pilgrimage to Jerusalem. The traditional Way of the Cross is along the Via Dolorosa, which stands for 'Way of Grief' in Latin. Commemorated by 14 stations, this holy route starts from the condemnation of Jesus by Pontius Pilate. 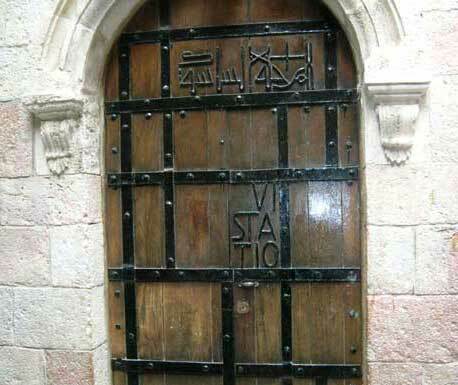 This begins at St. Stephen's Gate or Lion's Gate and moves to the next station where Jesus receives the Cross. 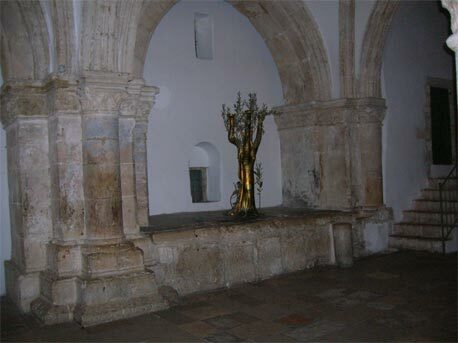 The III station is the spot where Jesus falls for the first time. 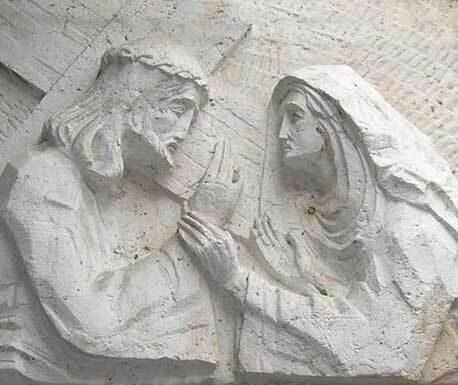 Station IV is the location where Jesus meets his mother. Station V is indicative of Jesus being helped by Simon of Cyrene. 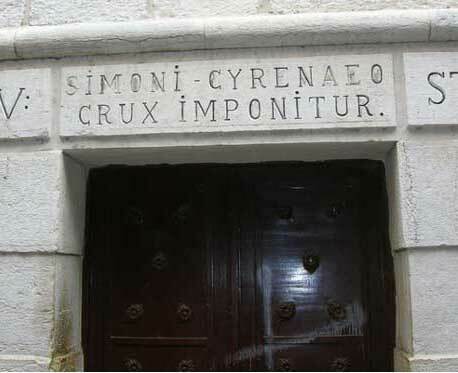 Don't miss the inscription on the architrave. 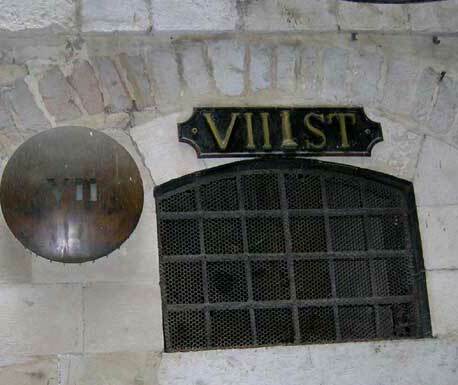 Station VI is the location where Veronica wipes the face of Jesus. Station VII is where Jesus is said to have fallen for the second time. 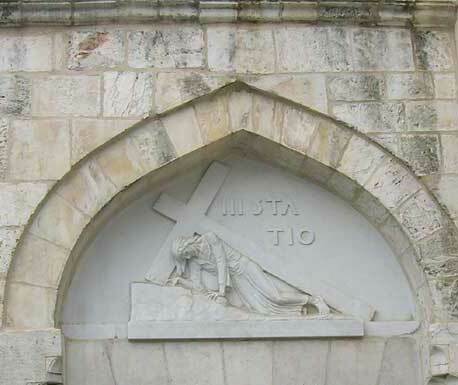 Station VIII indicates the spot where Jesus meets and consoles the women of Jerusalem. It was at Station IX that Jesus fell for the third time. 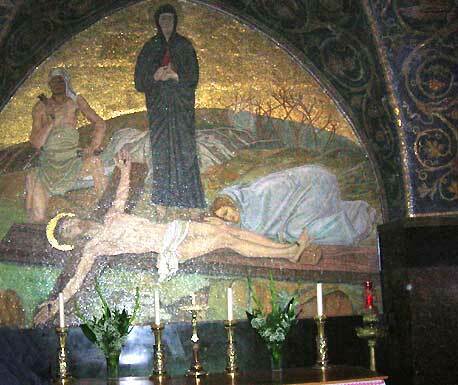 The remaining stations are found within the Church of the Holy sepulchre - from the time Jesus was stripped of his garments and nailed to the Cross to his death and his subsequent burial in the tomb. A walk down this holy path or Via Dolorosa gives Christian pilgrims a feeling of following in the Lord's footsteps. Thousands join the procession along the Via Dolorosa during Easter season. The Church of the Holy Sepulchre is one of the holiest shrines of the Christian faith. It is here that Jesus was crucified, buried and resurrected. The Church of the Holy Sepulchre is also called the Church of the Resurrection. 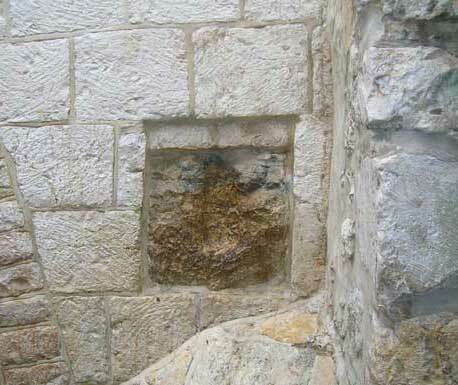 Within its premises, you will find the Stone of the Anointing where the body of Jesus was placed before burial. The church is rich with a blend of Byzantine paintings on the wall and mosaics and icons. You will find an ornate shrine just above the rock on which Jesus was crucified. Different Christian sects such as Catholic, Franciscan, Ethiopian and Armenian and Coptic Orthodox have their presence here. First Published Date: Dec 7 2006 Last modified Date: April 25 2019 This page may have been updated recently as new information is available or the content may have been edited for better readability.